Item # 311825 Stash Points: 999 (?) This is the number of points you get in The Zumiez Stash for purchasing this item. Stash points are redeemable for exclusive rewards only available to Zumiez Stash members. To redeem your points check out the rewards catalog on thestash.zumiez.com. 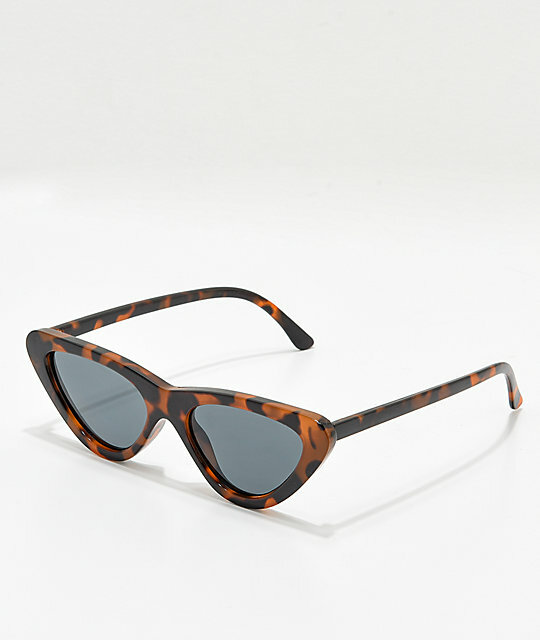 Complete your look with signature vintage styling with the Zoe Tortoise Tinted Cat Eye Sunglasses. Pair these shades with any outfit to exude a chic 1950s-60s retro aesthetic that'll grab attention wherever you're kicking it. 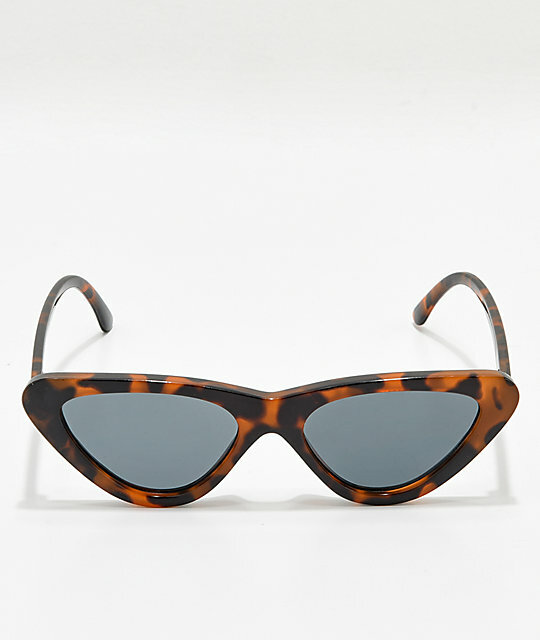 Zoe Tortoise Cat Eye Sunglasses. Slim cat eye shape design with black tinted lenses.